What Happens at a Bonsai Club Meeting? 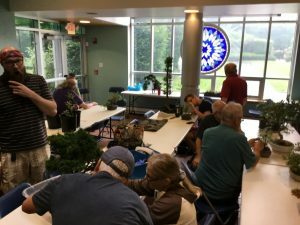 Are you interested in attending a meeting of the Cleveland Bonsai Club but aren’t sure what goes on? Well, it really depends on the meeting! Some meetings will have a featured speaker on a particular topic. 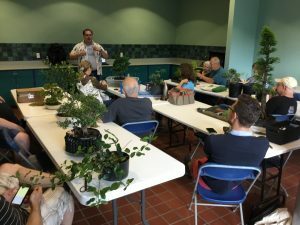 It could be about a style of tree, species, propagation technique, wiring, fertilizer, pretty much anything bonsai or bonsai related. One of the presentations this past winter was about Suiseki (stones). 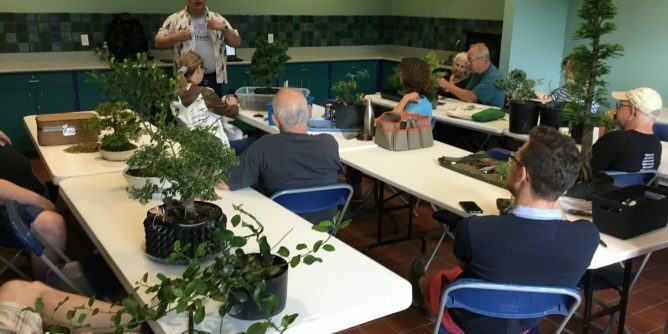 Some meetings are basically mini-workshops. Attendees can bring any tree they want and work on it at the meeting while getting advice from other members. 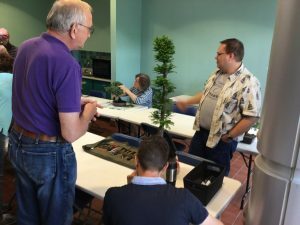 The pictures accompanying this article were taken at the June meeting. At this meeting, the new club website was unveiled and it was also a workshop. 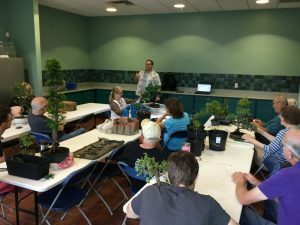 You can see some of the trees brought in to work on. 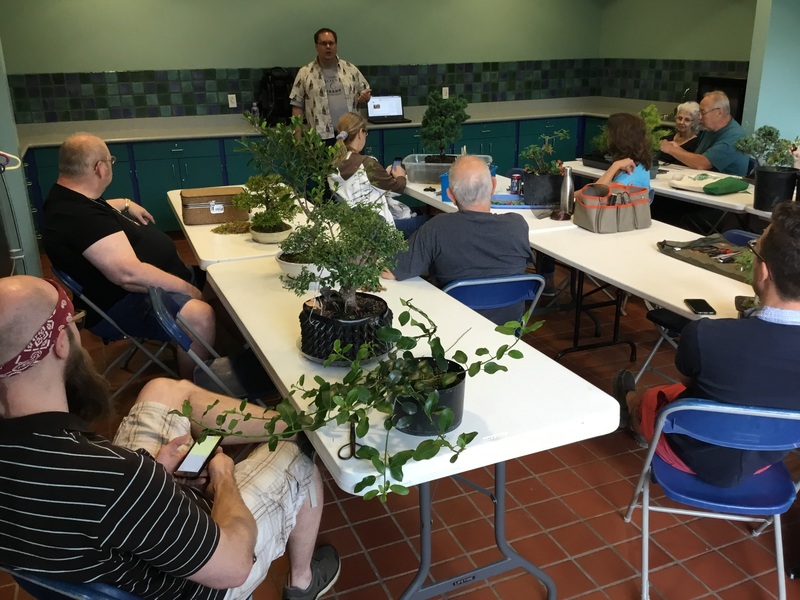 Anyone is welcome to attend any of the monthly member meetings so if you’re interested in learning more about bonsai feel free to stop in and introduce yourself! We are a good group of folks and welcoming to newcomers of any skill level. There is no cost to attend. 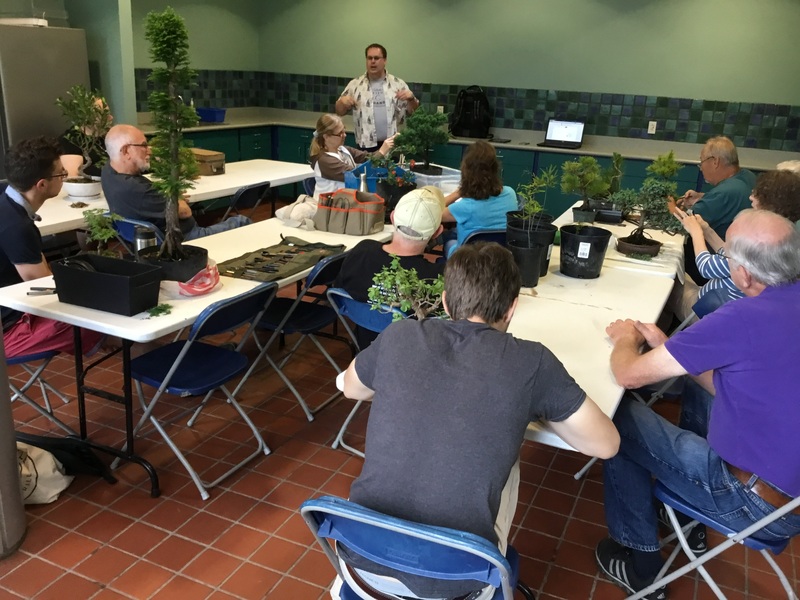 General membership meetings are the fourth Saturday of the month (except no December meeting). 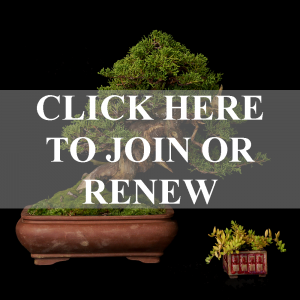 Copyright© 2018 Cleveland Bonsai Club. All rights reserved.